Here's a nice alternative to the traditional Easter basket, a furoshiki folded into a basket. 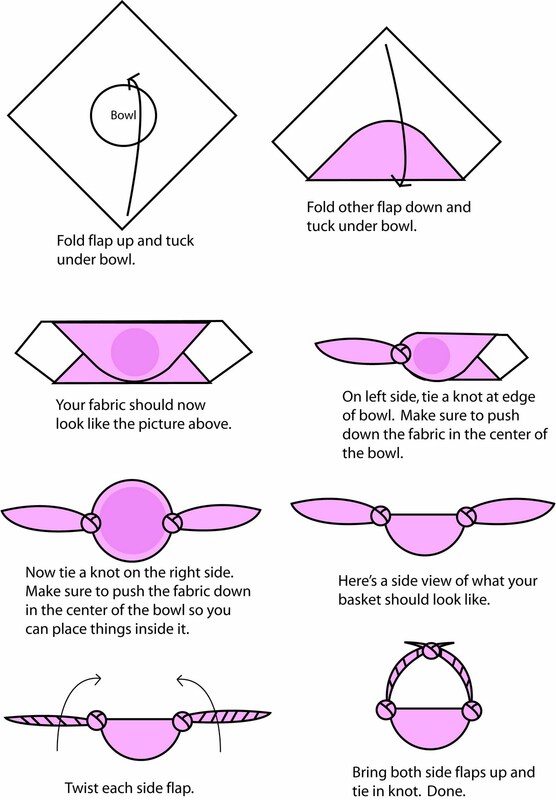 Wondering what a furoshiki is? 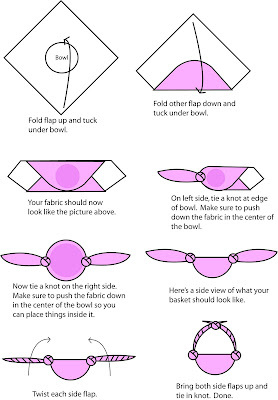 A furoshiki is a traditional Japanese cloth used for wrapping and transporting items. But don't worry, you don't need one for this project. You just need a square piece of fabric. Furoshiki or any piece of square fabric. 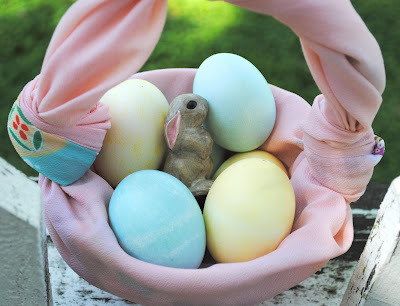 Silk scarves work great for this project. 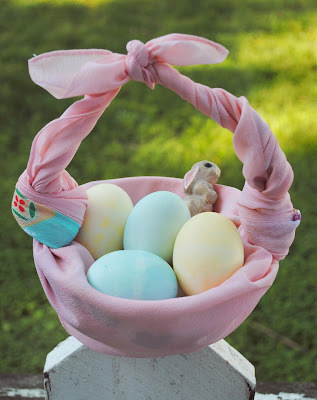 You could also use bandannas, fabric napkins, or embroidered handkerchiefs. One shallow bowl - any size/kind you want. The larger the bowl, the larger the piece of fabric you will need. Click on directions for a larger view. that makes for a lovely re-usable gift doesn't it? so pretty! What a great idea. I really love the idea of a furoshiki. I'm always looking for different ways to use mine. This would be a good technique for other gift giving occasions as well. Ooh, that is so beautiful and looks easy! Thanks for the excellent tute. Great photo styling! Absolutely gorgeous, and something Australian readers will love, I'm sure! That is fantastic, and you could use it for so many different gifts. Thanks so much for sharing. This is lovely! I could see transporting treats to friends in the basket, too. Maybe a thrifted scarf and bowl inside that become part of the gift. Thank you! It looks so nice~ Thanks for sharing the idea..^^.. Darling! A friend of mine went to Japan last summer and brought me two furoshikis! I'll give it a try. ooo thats a great idea! :) great way to celebrate easter in japan! That is very unique, likey very much!